You can’t say I never listen to you lobsters. 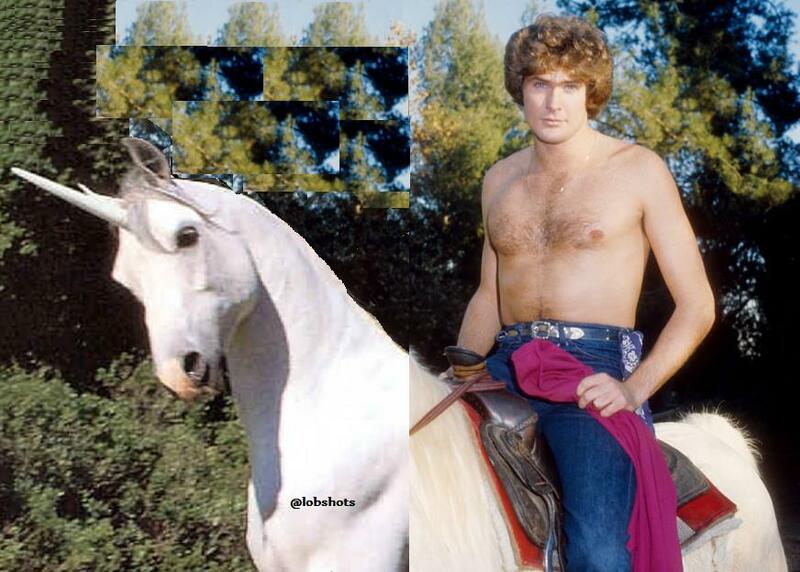 In regards to this wonderful picture that Andy Gray provided us of The Hoff… I have found inspiration. It came in comments section, by Caster, asking the simple question “why did they crop out the head of that unicorn?” I don’t know. So, I investigated. Welp, I was able to find the original. This entry was posted in ART, Celebrities and tagged the hoff unicorn. Bookmark the permalink.